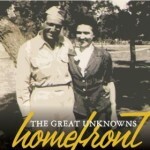 FTB podcast #149 features the new album by THE GREAT UNKNOWNS called Homefront. 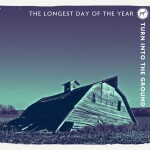 Also new music from JOHN BATDORF, CAROLANN AMES and HUMMING HOUSE. Here’s the iTunes link to subscribe to the FTB podcasts. Here’s the direct link to listen now! Here is the RSS feed: http://ftbpodcasts.libsyn.com/rss. This entry was posted in Americana Music, Americana Music podcast, Folk Allaince, Music, podcast, roots music and tagged AMY SPEACE, CAROLANN AMES, DOLLY VARDEN, ERIC DAHL, HOOTS AND HELLMOUTH, HUMMING HOUSE, JOHN BATDORF, LINCOLN DURHAM, THE DAMN QUAILS, THE GREAT UNKNOWNS, THE LONGEST DAY OF THE YEAR, WESTERN STARLANDERS. Bookmark the permalink. Pingback: The Great Unknowns » We’re featured on the latest Freight Train Boogie podcast!